Muzaffarnagar (Uttar Pradesh) [India], Feb 8 (ANI): A local court on Friday awarded life imprisonment to all the seven convicts, accused of killing two people in Kawal village in an attack which is believed to have triggered the 2013 Muzaffarnagar riots. 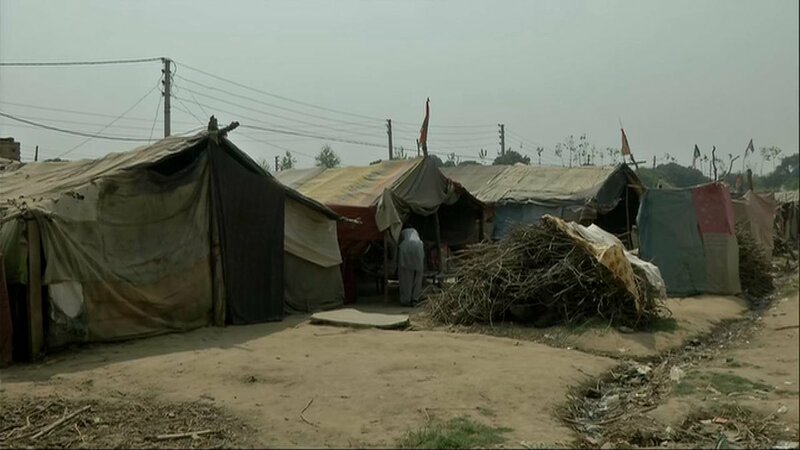 Muzaffarnagar (Uttar Pradesh) [India], Feb 6 (ANI): A local court on Wednesday convicted seven persons, accused of killing two people in Kawal village in an attack which is believed to have triggered the 2013 Muzaffarnagar riots. New Delhi [India], Jan 1 (ANI): The National Human Rights Commission (NHRC) has taken suo motu cognisance of a media report that 49 students of the residential Jawahar Navodaya Vidyalayas (JNVs) committed suicide at campus in five years from 2013 to 2017. New Delhi [India], Dec 23 (ANI): The Bharatiya Janata Party (BJP) on Sunday, citing two RTI applications, said that 9000 telephone calls and 500 emails were intercepted in the year 2013 on the order of UPA-2 government. Raipur (Chhattisgarh) [India], Dec 16 (ANI): Chhattisgarh Chief Minister-elect Bhupesh Baghel on Sunday termed the Jhiram Ghati Naxal attack in 2013 as a "criminal political conspiracy", and said his cabinet will constitute a Special Investigation Team (SIT) to probe the incident. Chhattisgarh (India), Nov 18 (ANI): While addressing a rally in poll-bound Chhattisgarh on Sunday, Chief Minister Raman Singh came down heavily on the Congress president Rahul Gandhi saying that he had lost 26 elections out of 28 conducted since 2013 in the country. Mumbai [Maharashtra], Nov 2 (ANI): The Committee of Administrators (CoA) has suggested the Supreme Court to take stern action against those named in Justice Mudgal panel dossier, currently in a sealed envelope with the apex court. California [United States], October 24 (ANI): Yahoo will have to pay millions in damages as part of a settlement in the 2013 and 2014 mega data breach case. New Delhi [India], Sep 13 (ANI): Activist Shehzad Poonawalla on Thursday claimed that he was a witness to Congress president Rahul Gandhi and absconding diamantaire Nirav Modi's meeting at a hotel in September 2013. New Delhi [India], Aug. 30 (ANI): The Delhi police has arrested a man who has been allegedly cheating nationalised banks in Delhi-NCR since 2013.